South Carolina experienced historic levels of flooding this month with some areas receiving over 20 inches of rain. The personal impact of the storm has left many families with intensive water damage to homes and belongings. However, the storm may have also had an economic effect on supply chains and distribution throughout the state. WSOC-TV reported 70 miles of closed interstates in South Carolina presented major problems for trucking companies. 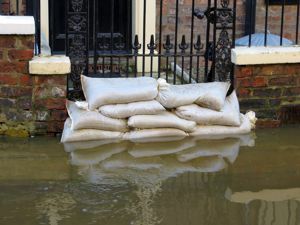 Product delays were commonplace during the duration of the flooding, causing major companies such as FedEx and UPS to releases statements regarding the postponement of shipments, the source said. Train shipments faced similar difficulties, as freight train operations were closed down. Supply shipments, such as coal, were delayed up to three days due to a number of flood-related track damages, explained Argus Media. The source also indicated that Norfolk Southern, a premier transportation company in the U.S., deemed its railways in the South Carolina areas inoperable, and shut down services until Oct. 9. While trucks and train felt the impact of the storm, South Carolina Ports Authority was spared the damage – and luckily so.The SCPA annually generates $53 billion for the state in economic activity. "The Port is our state's most strategic asset," said SCPA president and CEO Jim Newsome in the statement. "It enables South Carolina to recruit and serve the needs of companies with international supply chains, and in doing so, spurs economic development opportunities and generates well-paying jobs for people across the state." The SCPA proved very valuable for distributors during the flooding. A BMW manufacturer located in Greer, used the port as an alternative to the railing system, reported The Post and Courier. This strategic sourcing allowed for BMW to avoid a delay in delivery of its cars. Distribution was not the only sector of the supply chain affected by the historic flooding. South Carolina's farming industry is expected to take a big hit going forward, revealed CNBC. Peanuts, cotton, soybeans, sweet potatoes and poultry are the items most likely to feel the effect of the excessive rainfall. South Carolina is responsible for around 5 percent of the nation's cotton crops, noted CNBC. Additionally, the state's poultry sector accounts for around 40 percent of the agriculture in South Carolina and is responsible for around $1.5 billion in contributions to the state's economy. Peanut farmers have encountered considerable problems due to the timing of the rain. Early stages of harvest were destroyed due to the heavy rainfall. CNBC reported that the U.S. Department of Agriculture's weekly Crop Progress report found just 15 percent of the peanut crop in South Carolina was harvested, falling considerably lower than the 2010-2014 averages for early October. "Floods came at the absolute worst possible time for peanuts and cotton," State Executive Director of the USDA's South Carolina Farm Service Agency Harry Ott explained to CNBC. "I grow peanuts myself, and generally if peanuts get wet for an extended period of time, they have rot and mold that sets in, and it makes them unusable for consumption. So it could very well be a complete loss on some of the peanuts." Distributors of peanuts, cotton, soybeans and poultry products will need to look to supply management tactics and forms of strategic sourcing to make up for the decrease in supply from South Carolina.